Sana’a(ANNN)-Yemeni army forces, backed by allied fighters from Popular Committees, have fired a domestically-manufactured ballistic missile at a military base in Saudi Arabia’s southern border region of Najran in retaliation for the Saudi regime’s military campaign against the crisis-hit country, Yemeni media report. Yemen’s official Saba news agency, citing an unnamed military official, reported that the Quwat al- Wageb military camp had been targeted with short-range Badr-1 missile on Friday night, adding that the projectile had hit the designated target with great precision. The official added that the missile inflicted damage on the camp, killing and wounding an unspecified number of Saudi troopers. The development came two days after Yemeni forces fired a ballistic missile at Aramco storage tanks in Saudi Arabia’s southwestern Jizan region. Shortly after the announcement, the kingdom’s state-run al-Ekhbariya television network claimed that the missile was downed by the Saudi air defenses over the skies above the region. 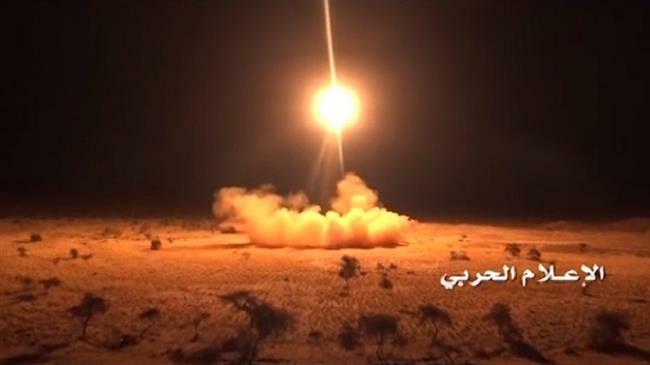 On Monday, the Yemeni army said that it had hit al-Jarbah Base in Dhahran district in Saudi Arabia’s southwestern border region of Asir with short-range Badr-1 missile, leaving losses in the “enemy” ranks and its military equipment.